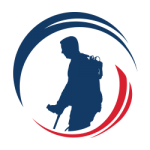 STAMFORD, Conn., March 16, 2017 (GLOBE NEWSWIRE) — SoldierStrong, a nonprofit organization dedicated to providing advanced medical technologies to veterans, today announced that it has teamed up with the Fraternal Order of Eagles to donate an Ekso GT™ exoskeleton to the United States Department of Veterans Affairs (VA) Long Beach Health Care System. The VA Long Beach Spinal Cord Injury and Disorders Center (VALBSCI) plans on using this cutting-edge device for gait therapy as part of its rehabilitation services. 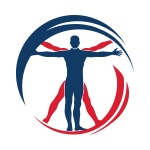 VALBSCI is one of the largest of the 24 SCI centers within the Department of Veterans Affairs. The donation ceremony will take place on Friday, March 17th, at 10am PT at the Tibor Rubin VA Medical Center. 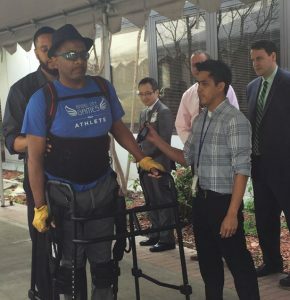 The Ekso GT, made by Ekso Bionics® (NASDAQ:EKSO), is the first and only exoskeleton cleared by the FDA for use with stroke and spinal cord injuries from L5 to C7. The suit’s patented technology provides the ability to mobilize patients earlier, more frequently and with a greater number of high intensity steps. With SmartAssist™ software, the Ekso GT is the only exoskeleton available for rehabilitation institutions that can provide adaptive amounts of power to either side of the patient’s body, challenging the patient as they progress through their continuum of care. This marks the second donation that the Fraternal Order of Eagles and SoldierStrong have made together to a VA hospital. said Chris Meek, co-founder and Chairman of SoldierStrong. 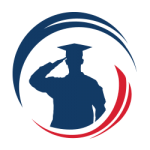 The VA Long Beach Health Care System provides delivery of health care to more than 56,000 Veterans throughout Southern California including the City of Long Beach and all of Orange County. VA Long Beach is also home to one of VA’s largest Spinal Cord Injury Units and to the new Major Charles Robert Soltes Jr. O.D. Blind Rehabilitation Center.